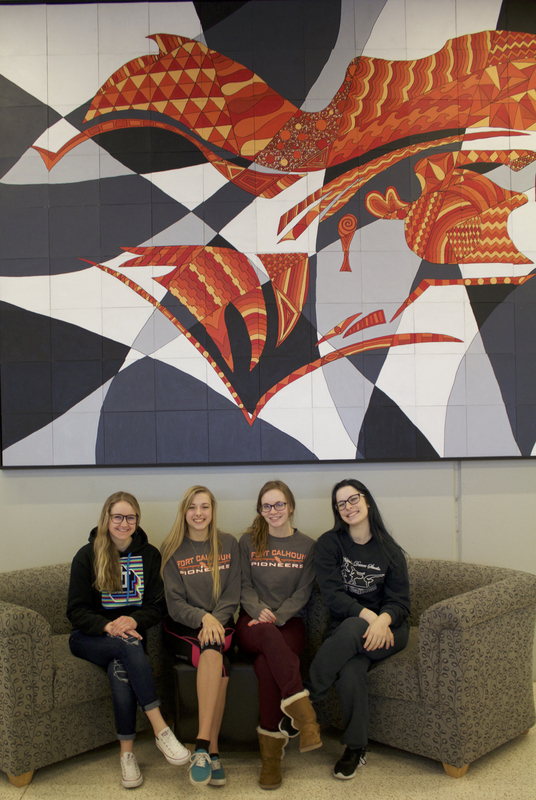 On Friday March 24th, High School Art students spent the day observing and learning about art. 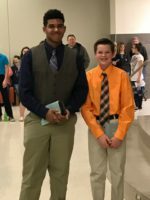 They visited the Omaha Public Schools TAC building to observe over 1,200 works of art on display for the Scholastic State Art Exhibition. They also visited the Joslyn Art Museum and participated in both a self-guided tour, and docent led tour. Students are pictured in front of a glass blown sculpture titled “Inside & Out” by living artist Dale Chihuly. This entry was posted in Uncategorized on March 27, 2017 by Jennifer Gepson. Congratulations to our 2017 Prom Royalty. 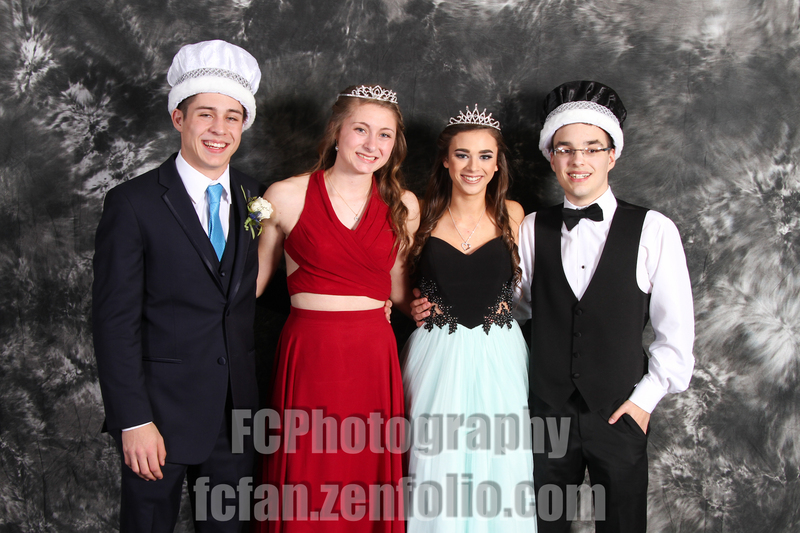 Prince and Princess Jamie and Hannah Warner and King and Queen Christopher Hansen and Hanna Lazure. This entry was posted in Uncategorized on March 23, 2017 by Jennifer Gepson. Congratulations to Taya Skelton for winning the First National Bank’s Unforgettable Performance of the Week. 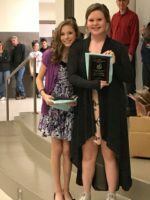 First National Bank and their partner Hudl had a Fan Favorite Facebook contest for performance of the week and Taya won out of a pool of four other students in Nebraska. She won a Hudl swag bag, along with a $500 Visa prepaid card for our Girl’s Basketball team. Thank you Jim Shields for the photo. This entry was posted in Uncategorized on March 18, 2017 by Jennifer Gepson. Preschool Registration date for 2017-2018 will be March 20th through April 17th. No applications will be accepted before March 20th. For a copy of the application, follow this link, Preschool Registration Application or see the Elementary School Office for a copy. If you have any questions you may call Mr. Drew R. Wagner, Elementary Principal, or Deanna Royuk, Preschool Teacher, at 402-468-5714. On December 1 2015, the Nebraska Department of Education/Office of Early Childhood representative evaluated our Early Childhood Program. In this evaluation there is a plethora of items that must meet certain guidelines. 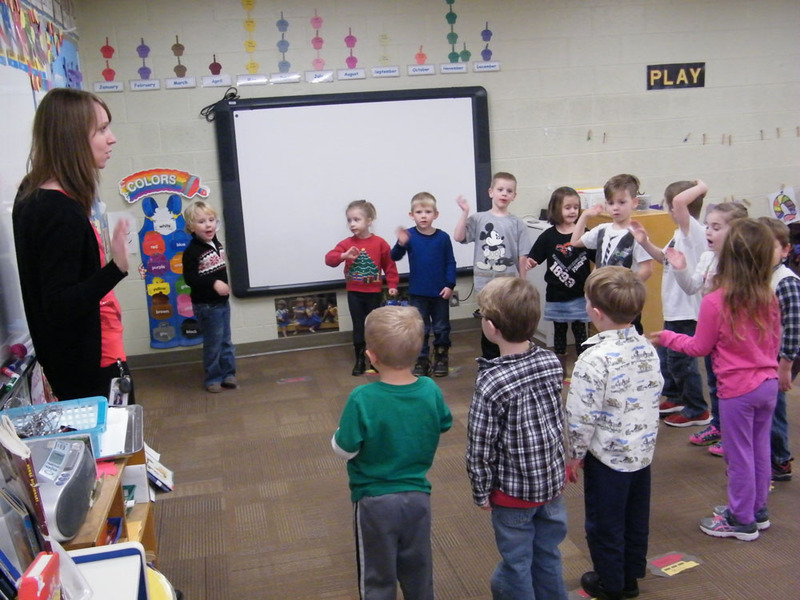 The process Nebraska Department of Education/Office of Early Childhood has chosen to use is the Early Childhood Environment Rating Scale (also known as the ECERS) observation tool to measure program quality. 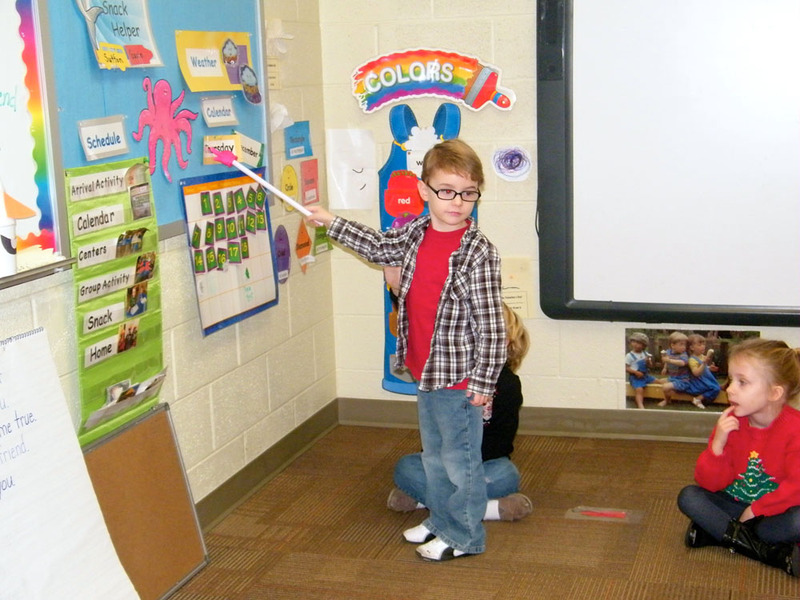 The ECERS is a widely used tool in the field of early childhood. The tool measures quality in the following areas: Space & Furnishing, Personal Care Routines, Language/Literacy, Activities, and Program Structure. 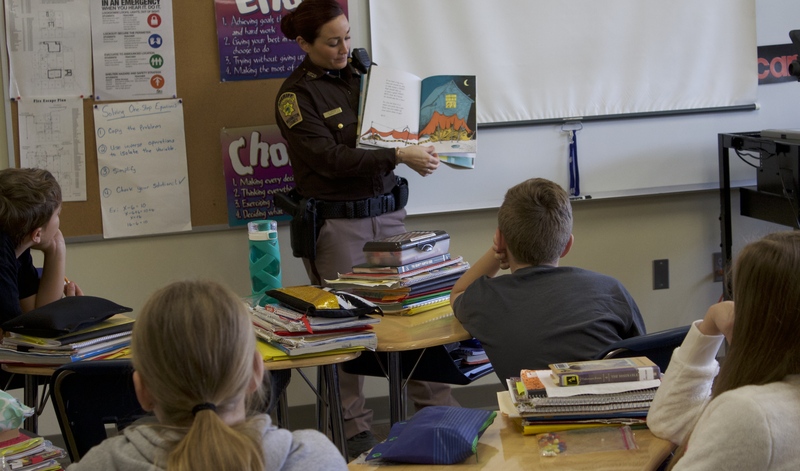 According to Ms. Diane Kvasnicka from the office of Early Childhood, Nebraska State Department: “I cover 28 counties (Douglas County up to the NE part of the state..all the way over to Brown County) and Fort Calhoun’s scores were the highest in my territory. Actually, based on the results that we have so far, Fort Calhoun’s score is the 4th highest in the state. 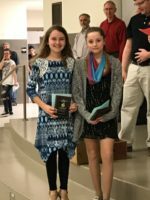 Congratulations to her as well as the district.” Nice Job, Mrs. Royuk and Mrs. Miller. Job well done! Keep up the GREAT work! Just another reason to be proud to be in Fort Calhoun. On March 16th, State Trooper Kevin Chase spoke to our Strength and Conditioning class about the negative effects of drugs, alcohol, seat belt safety, and texting while driving. It was the first day of our Health Unit, so it was a great way to get things started. This entry was posted in Uncategorized on March 17, 2017 by Jennifer Gepson. 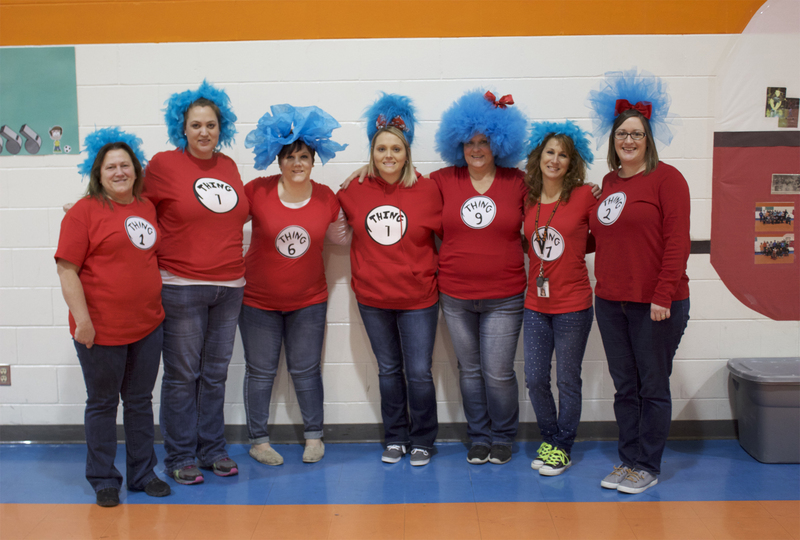 There was so much fun happening around Fort Calhoun Elementary during Dr. Seuss week. 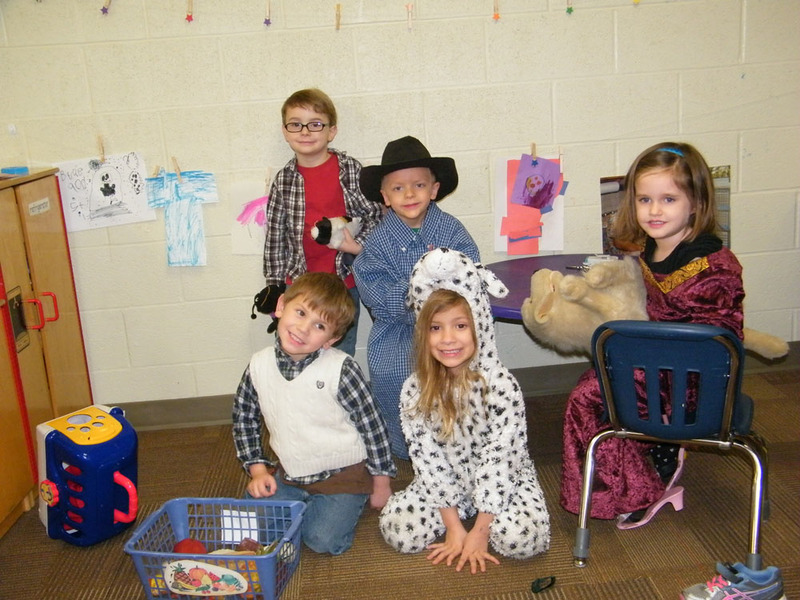 We had several contests including costume, class pet, and door decorating. 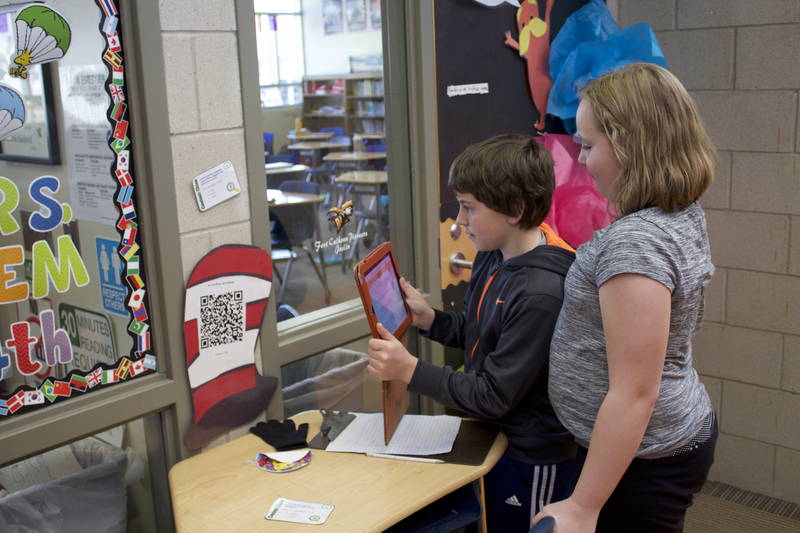 The students enjoyed a special snack, QR code activities and of course guest readers and “drop everything and read” time. 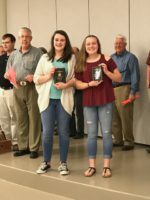 A new activity this year was a book donation contest. We collected 591 books which will be donated to the Bridge Crisis Center in Blair. The week ended with an assembly to celebrate. 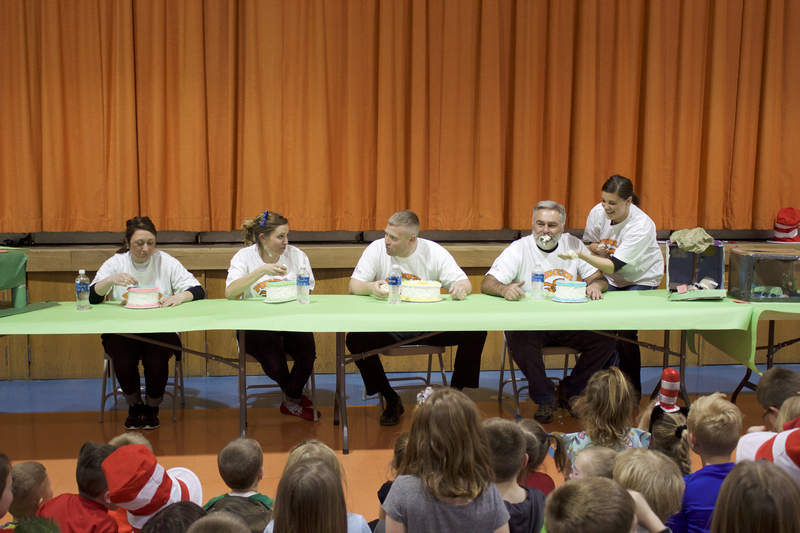 The teachers from the classrooms who donated the most books, had a cake eating contest. As you can see, it was a ton of fun! Thanks to everyone who made this week a success. This entry was posted in Uncategorized on March 14, 2017 by Jennifer Gepson. Congratulations to our 2017 NCC Honor Band members including Sarah Johnson, Avery McKennan, Dalton Ashby, Justin Drowne, Christopher Lopez, Ben Bonacci, Montana Cotttle, Colton Folkers, Tessa Dethlefs, Ian Edie, Travis Fitzgerald, Amanda Hansen, Nick Deyen, Keagan Hunter and Elizabeth Pace. 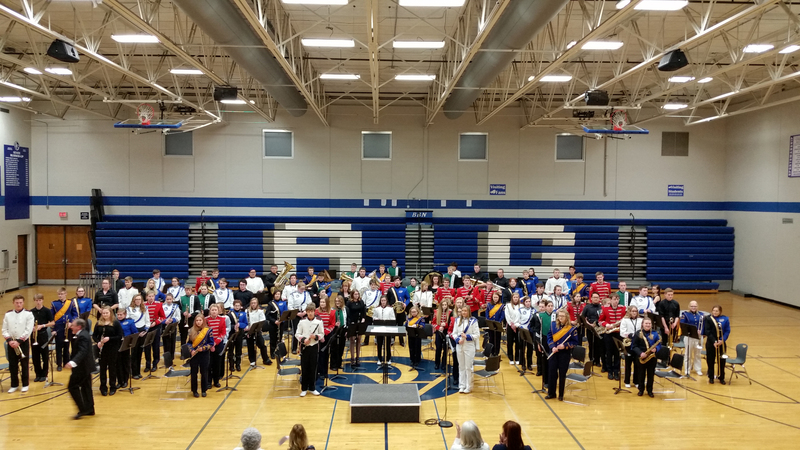 Honor Band was held on March 6th at Ashland-Greenwood High School. 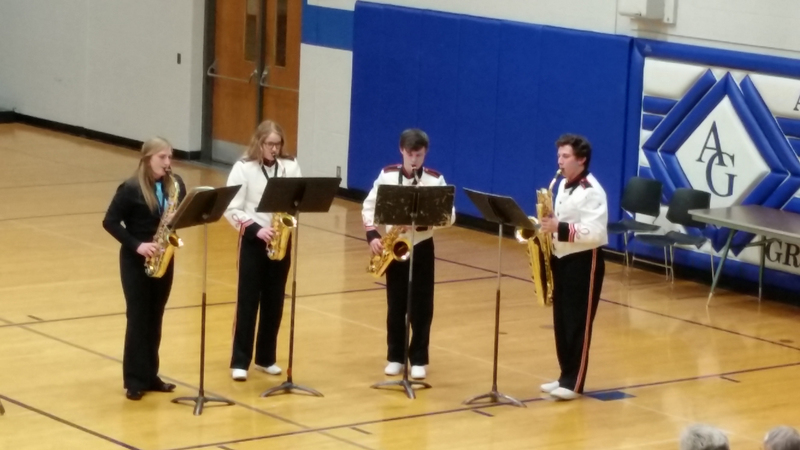 The concert included a quartet of Tessa, Elizabeth, Ian, and Travis playing Sinfonia No. 3 by Bach. This entry was posted in Uncategorized on March 8, 2017 by Jennifer Gepson. 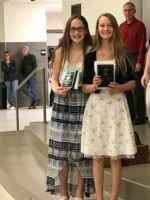 The candidates for the 2017 Daly Award are Tessa Dethlefs, Mandy Hansen, Ellie Shaffer, and Jessica Gravert. This the 6th year Pam and Dan Daly have sponsored the Youth Engaged Award. 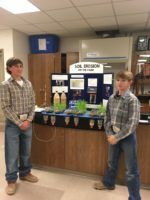 The purpose of the speech is to engage the young minds of Fort Calhoun (and Washington County) by having them propose solutions to reverse the population decline, spur economic development/growth, and/or increase quality of life. 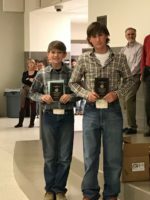 Winner receives a $1,000 prize; second place $500 courtesy of Anne Breitkruetz and Roger Nottleman. 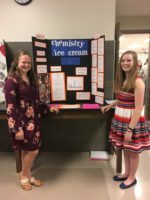 The students will present in front of a panel of judges on Saturday, March 11 at 10 a.m. in the high school library. The presentations are open and available to the public. This entry was posted in Uncategorized on March 3, 2017 by Jennifer Gepson. 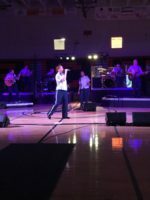 On Tuesday, Fort Calhoun Junior and Senior High Schools were honored to get a concert from U.S. AirForce’s Heartland of America Band. Teachers and students alike were thrilled with the performance. Many came in not knowing what to expect and were surprise that it was a rock band. It was a fun break in the day.